I have a box of stuff that I bring with me as my family moves from house to house. Even after I got married and moved in with the hubby, that box came with me. I even upgraded it to a nice stackable plastic box from Japan Home! The hubby has been trying to get me to get rid of this box of memories. He complains that I force him to throw stuff away all the time but I don't do it myself. After a lot of nagging, I finally threw away some of it but for the rest, I just couldn't bear to part with them no matter how hard I tried! Curious to find out what's in my treasure trove of memories? Me too! (The thing about "collecting" is, after a while, you forgot what you have collected!). Sadly, nowadays with Google Calendar, I no longer record it the old-fashioned way. Instead, it is recorded online. Although it is still recorded, the feeling is a lot different. In those days when we were a poor fresh graduate with a low-paying first job and student loans to pay (hubby) and a poorer university student (me), dining at Fish & Co was considered a luxury for us (nowadays that's considered a normal lunch or dinner). Hence, every box of expensive chocolates that the hubby got for me (and you know how much I love chocolate! ), I kept the box! I have kept these chocolate boxes for the last 6-10 years and refused to throw them away because they remind me of the days of small beginning when we had nothing and yet we were happy and thankful. I must not forget where we came from and how far God has brought us when we put our faith in Him. I know I have a lot of wallets when I was in Primary and Secondary school but this was the first one I bought with my own money, which I absolutely love! Till this day, the black, white and pink combo is still my favourite colour combination of all time! We were very poor when I was young so every little gift I received from my friends, I treasured them all (did I mention that my love language is gift-giving? I think you can tell..). I have kept these for the last 16-18 years because they remind me of my secondary school days. And I think I'll continue to keep them for years to come! Years ago when I just hit puberty at 11 years old, my dad brought my whole family to Yunnan, China. It was a major trip that included my mum, 2 siblings, grandmother, aunt and uncle. I remembered climbing up a hill and seeing the locals selling all sorts of handmade goods. The daddy bought this for me as a souvenir because I liked the bright red colour. I have kept it for the last 20 years ever since! I don't know who gave these to me or even why I kept them for so long but these paper bags have been with me since I was in Primary school. I just think that they are cute and since they have been with me for so long, I just didn't have the heart to throw them out. I think I have kept them for the last 20 years at least! This Barbie is not my first Barbie; it's not even mine! 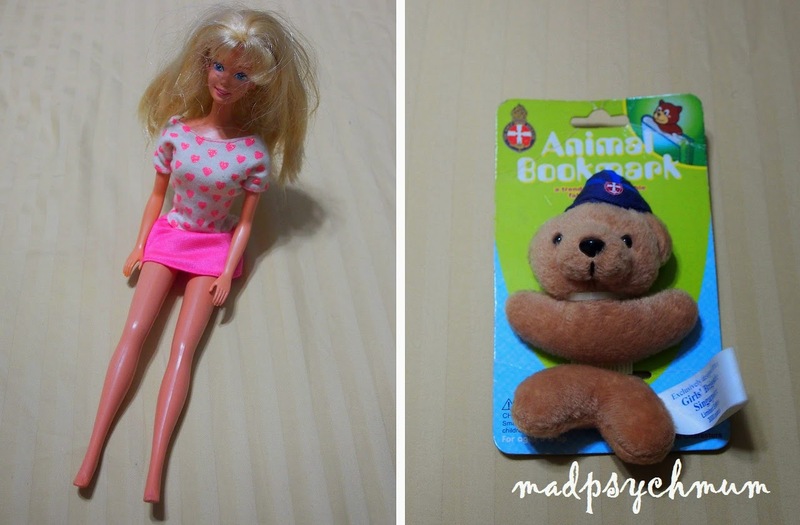 It was my sister's and she ended up giving it to me because she hated dolls (true story). My first and only Barbie got her head ripped off because I thought you could fling the Barbie round and round by grabbing her by her hair. Apparently not. And since then I never had another Barbie because my mum probably didn't want any other Barbies to end up like my first one. So even though this is technically not mine, I kept it for the last 16 years, shoes and all, hoping that one day I can pass it down to my girl (although by then she'll probably think this is too simple and unfashionable for her..). It has lost its formal glory, looking nothing like it did when it left the toy factory. The hubby told me to get rid of this ugly thing but I refused. Why, this ugly bear is 31 years old! Yup, it's as old as me! What do you collect for years and have not thrown away? Tomorrow, Adeline from Growing with the Tans will show you some of the things she has hoarded over the years, and hopefully, her husband won't make her throw them away after he reads the post! She is extremely sentimental about everything and anything, and would be living in a house packed with "treasures" if she could. 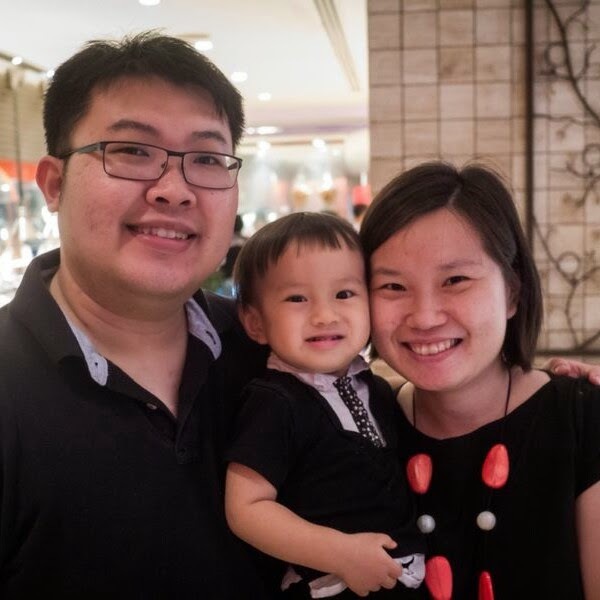 Adeline is currently curating a Keepsake Box for her son, Noah, and hopes that he will appreciate the items she has collected and kept for him, when he is older. 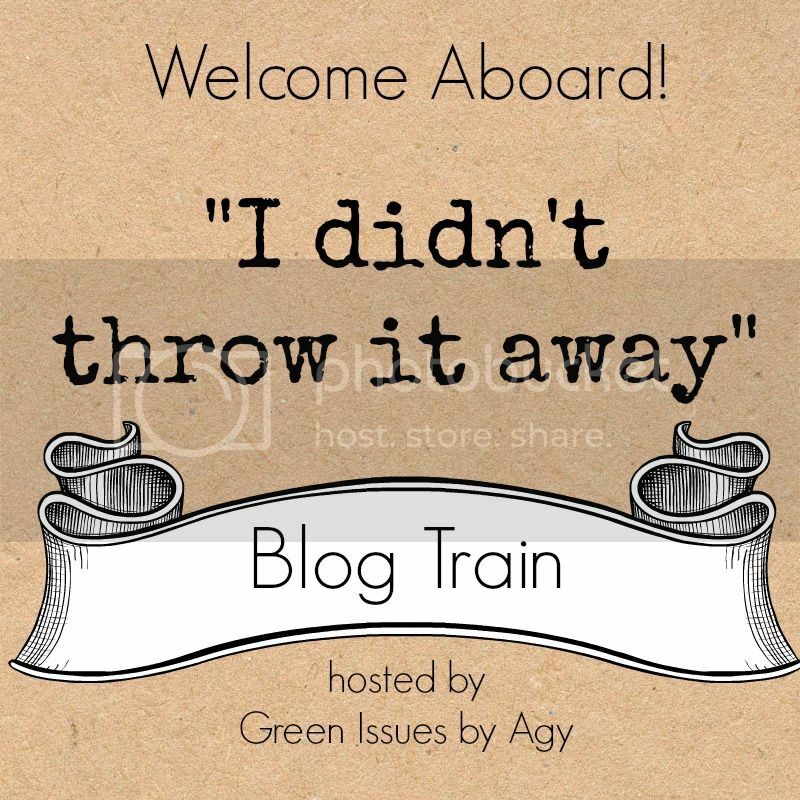 This post is part of a blog train hosted by Agatha from Green Issues by Agy. Follow the daily posts on this blog train and read about stories behind the things we have kept for many years and why we didn't throw them away.